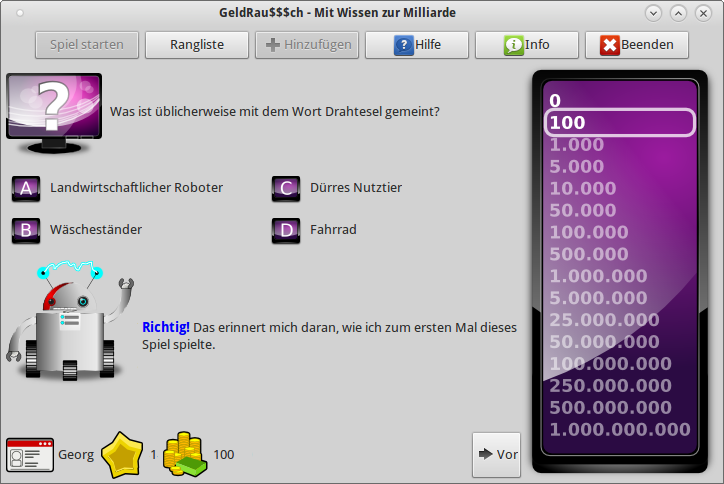 GeldRau$$$ch is a simple "Who wants to be a millionaire"-like game. You have to answer 15 questions to win lots of virtual money - and - you can add your own questions. At the moment it is available in german only, but there will be an improved and multilingual version, soon. 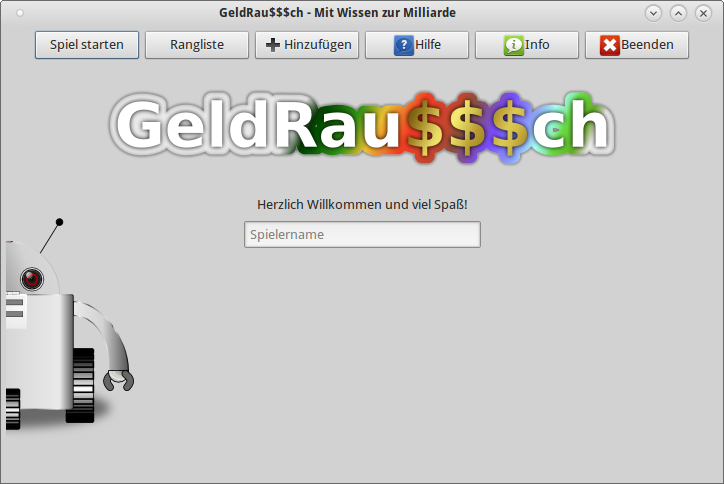 Using GeldRau$$$ch is easy and straight-forward. Just download the Tarball, unpack it and start the "geldrausssch_gui.py" file. A "setup.py" and Debian-Package will be available soon. But the tarball will do as well.